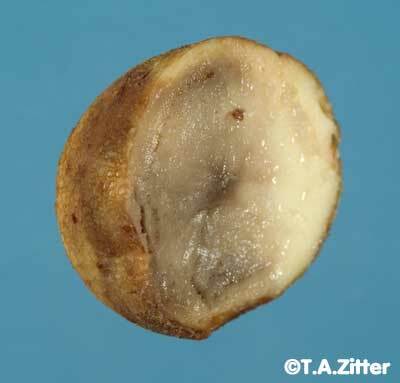 Pythium Leak, also called shell rot is caused by Pythium ultimum. 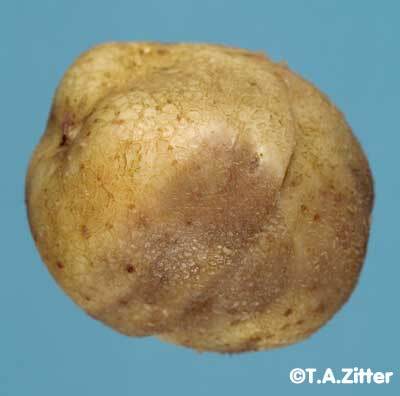 Note the external and internal symptoms on the same tuber. When squeezed, the tuber will be come watery. 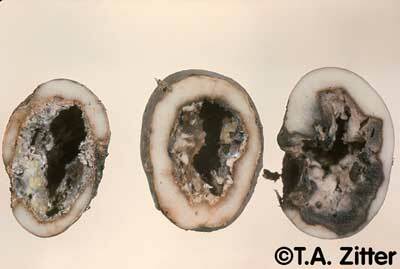 The common name of shell rot is obvious in the third image.Photos courtesy of T. A. Zitter, Cornell University, Ithaca, NY 14853.